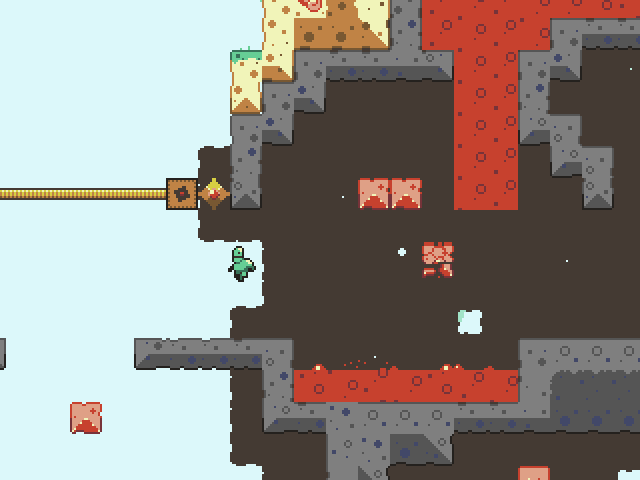 Chain Champ is an unconventional platformer in which you play as a cosmic vagrant to save the large flightless birds of a dying planet - using only your grappling hook. Not one feather can be scorched. -Totally free. Soundtrack and all. Check out and download the OST too. Edited by thatshelby, 13 May 2012 - 02:16 AM. The game has a nice 8-bit / retro kind of feel to it. That's not my favorite style, but you guys used it effectively here. And with matching music too. Overall a good game, so +1 for that. It deserves more attention. You know, I had plans to do something tonight, then I stumbled across this topic. As 'chance' said, this game deserves more attention. It definitely puts a new spin on platforming for the good and great, and the better of YYG. Despite first impressions, the game speeds up as you progress. I've played games similar to this with the same idea, but this game perfects it by far. The FPS is near perfect, except for a few spots where I lagged. Perfectly done. As it stands, this is the 2nd best, if not the best, platformer I've played in 2012. Edited by Kristallify, 07 May 2012 - 01:12 AM. i didn't really know what would happen when the grapple let go. sometimes the player would be flung far and sometimes he would just drop, that was irritating. A nice twist on platform games. Sometimes you can't really "see" where you're heading with the grapple-thing, and the jumping can be quite hard in a few bits, but maybe that's just me. This game looks amazing, and it sounds good too. Polished to a shine. Unfortunately, that doesn't really hide the fact that the gameplay is so wonky. I had a lot of trouble just getting through the tutorial level! There have been plenty of grappling games (Good Luck Robot comes to mind) but I think what's missing here is the ability to walk on the ground. Grappling to move short distances just feels awkward and is very difficult to control. I understand that adding walking would destroy the gameplay as it is, but basic platforming is missed dearly. This problem is compounded by the fact that the game -looks- like a platformer. Maybe if it took place mostly in-air it would be better. I didn't really enjoy this, unfortunately. But it does look massively more "professional indie" than most GM games do, so props for that. Hey, Shelbs. Cheers, your game was put up on the Free Indie Games blog! Anyway, I played the game, it is very well presented and has nice graphics but I gotta say this: the controls are a bit awkward, even the tutorial is hard, the first level is hard! I never know when the player is going to be boosted horizontally or just dropped. Obviously this game is not hard for you because you know every nook and cranny of how the grappling system works. 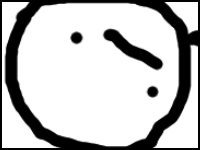 My suggestion is that you make it easier for the average d00d to use it. Speaking of blogs, your game has been also reviewed by Idealsoft, an italian blog devoted to indie games. Wow, pretty decent coverage! Thanks for pointing those out doods! Version 1.0.0.1 is out. 1.0.0.1 introduces panning, mouse controls, and a little lighter gravity. I hope this fixes some of your concerns. The grappling hook in this game doesn't conform to physics. However, after playing with it a while, I got used to the physics system it has, and this game is a blast! I only have gotten three birds so far, but I like what I have played. This should be in the reviews section in my opinion. Nice music, retro graphics, swell game! Edit: A cool feature would be to see all of your deaths as well as your final effort as in super meat boy, it would look really cool if you could pull it off. Edited by speedchuck, 17 May 2012 - 03:06 PM. Same here. It's a lot more fun to use mouse other than the arrow keys. There are several unfair deaths, however. Sometimes you will land on the ground and keep sliding forward to your doom. Somtimes you don't know what's below you, you drop, and die. I found myself saying "that's stupid" quite a few times. But in the end it was a rather rewarding experience. In the credits did you mean to write "Chevy Ray" and then some other guy named "Johnston"? It looks like 2 seperate people. Good game, keep up the good work. Edit: One more suggestion, make it so you can scroll through the levels with the mouse instead of having to use arrow keys and Z only. Edited by orange08, 17 May 2012 - 03:50 PM. Thanks for playing. You can see all of your deaths in the Stats option on the main menu. 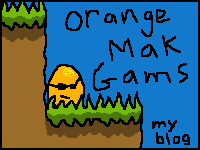 Orange08 ~ It seems you misunderstood the game a bit. I'm pretty sure on the Isle Select screen, there is a text that tells you to click the buttons at the bottom of the screen? You can use the mouse there. About not knowing what's below you, you can pan by holding the right mouse button. We're not going to change it anymore. A cool feature would be to see all of your deaths as well as your final effort as in super meat boy, it would look really cool if you could pull it off. Edited by speedchuck, 17 May 2012 - 05:45 PM. This game needs more recognition. Edit: any chance of a sequel? Edited by speedchuck, 19 May 2012 - 04:10 PM. Edited by mooosh, 18 December 2014 - 08:10 AM.